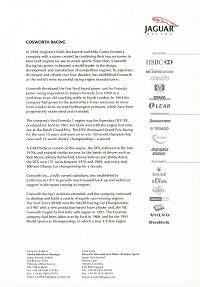 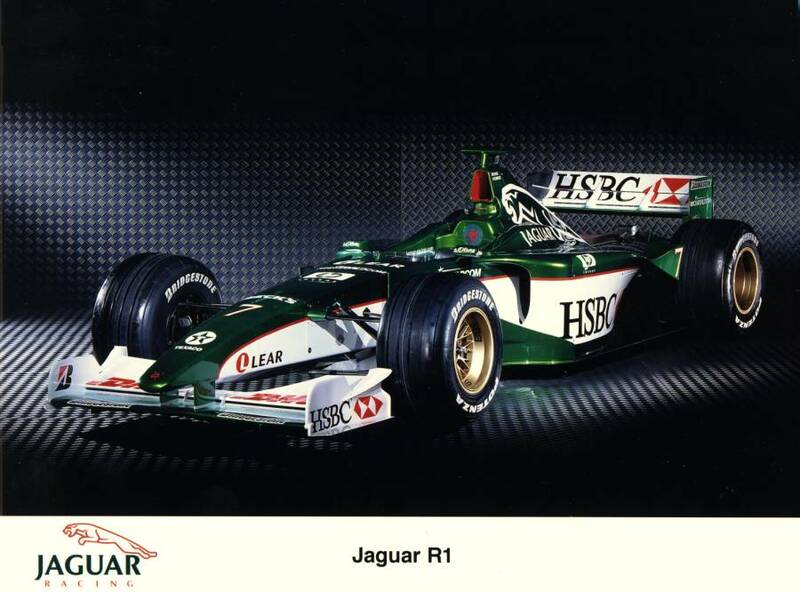 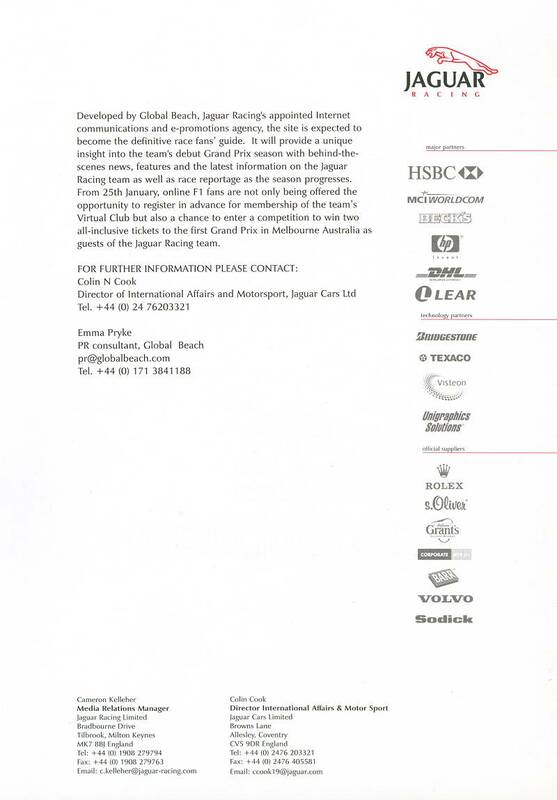 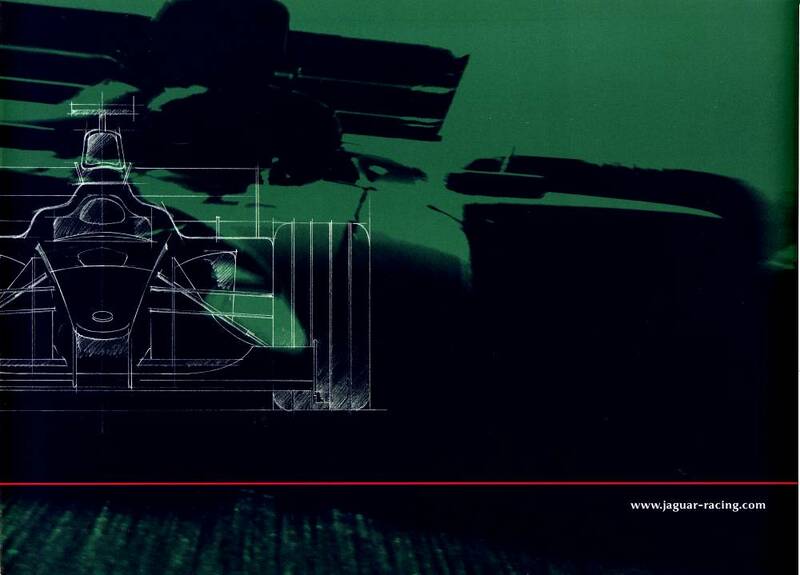 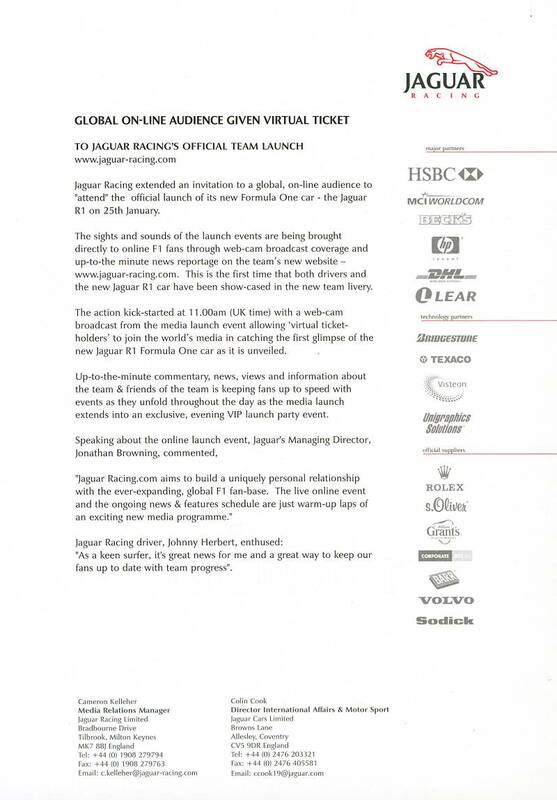 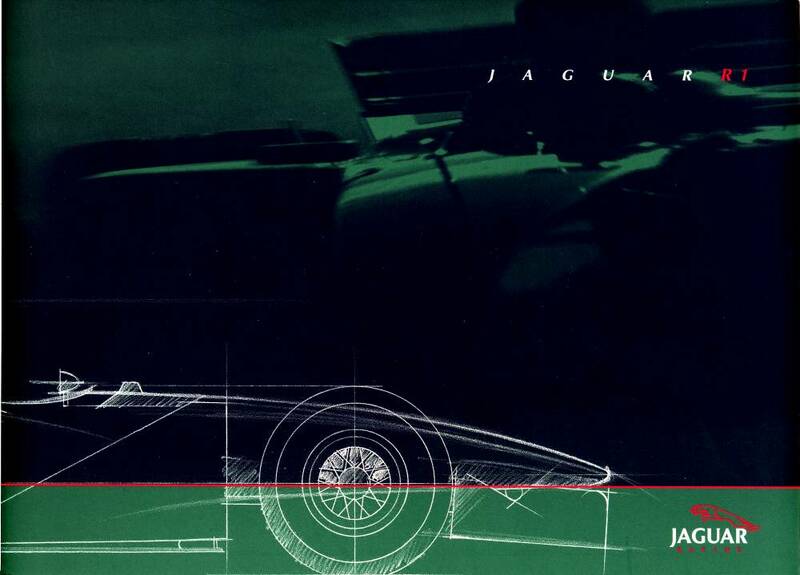 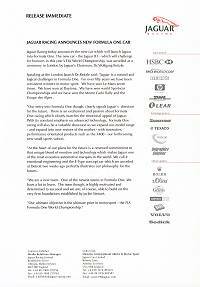 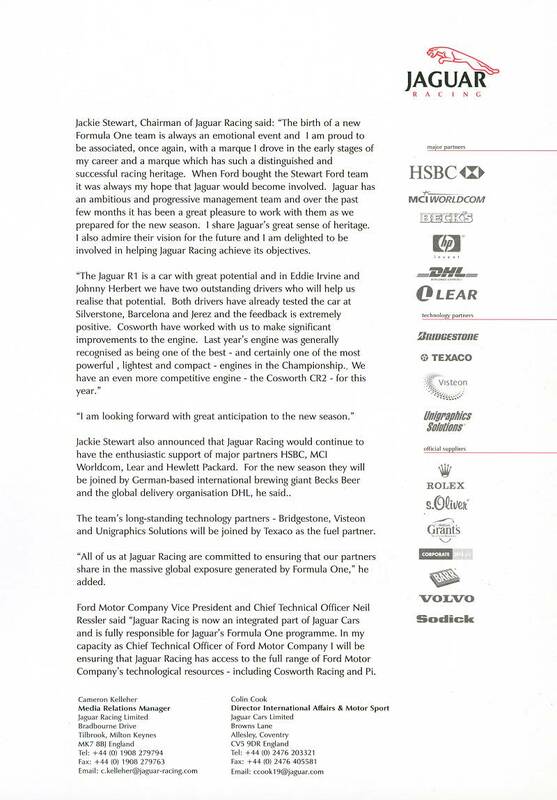 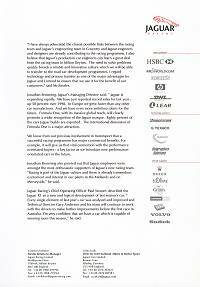 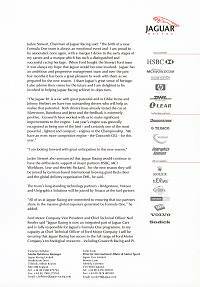 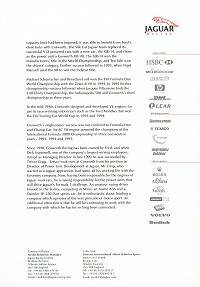 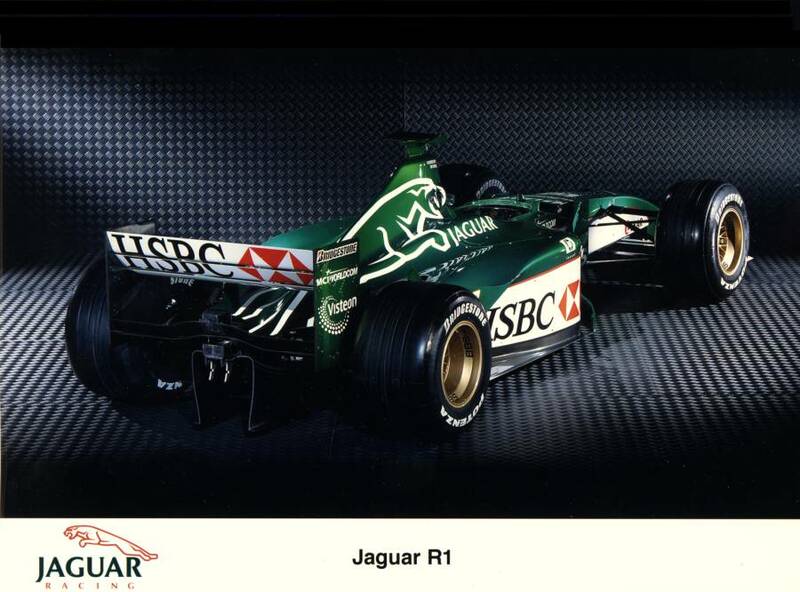 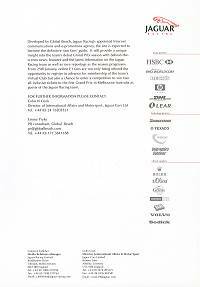 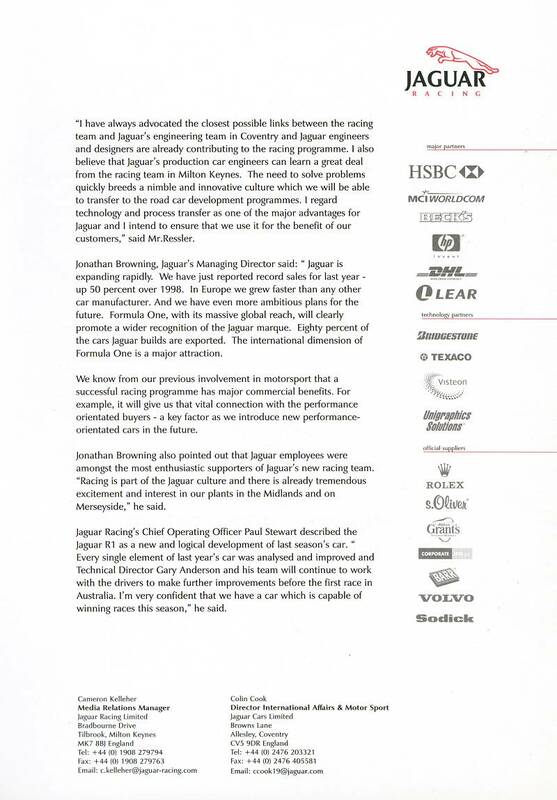 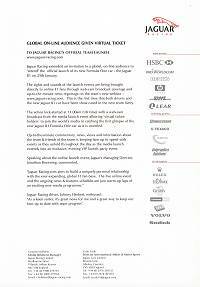 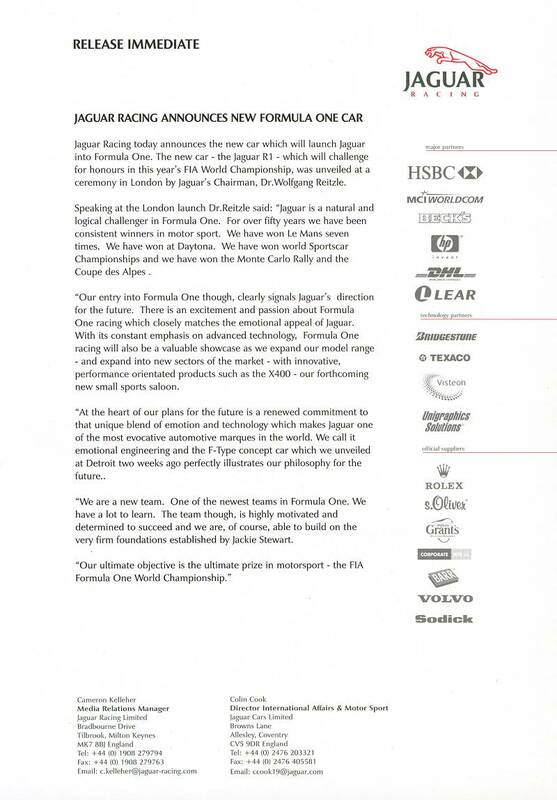 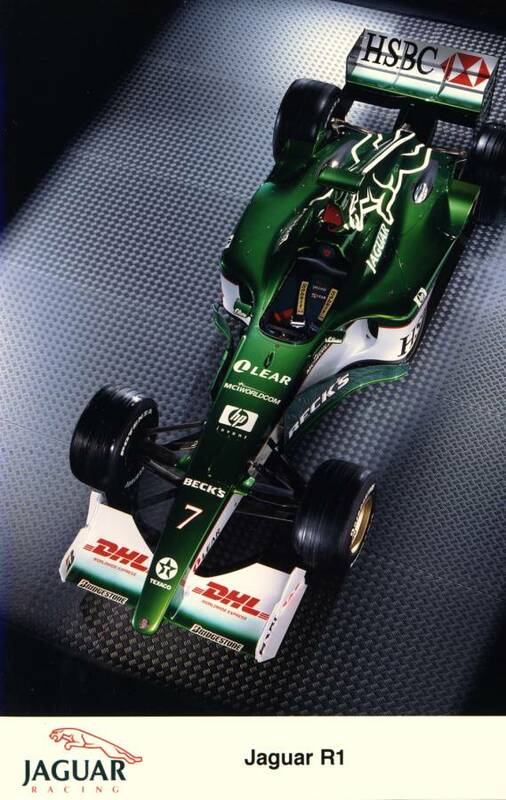 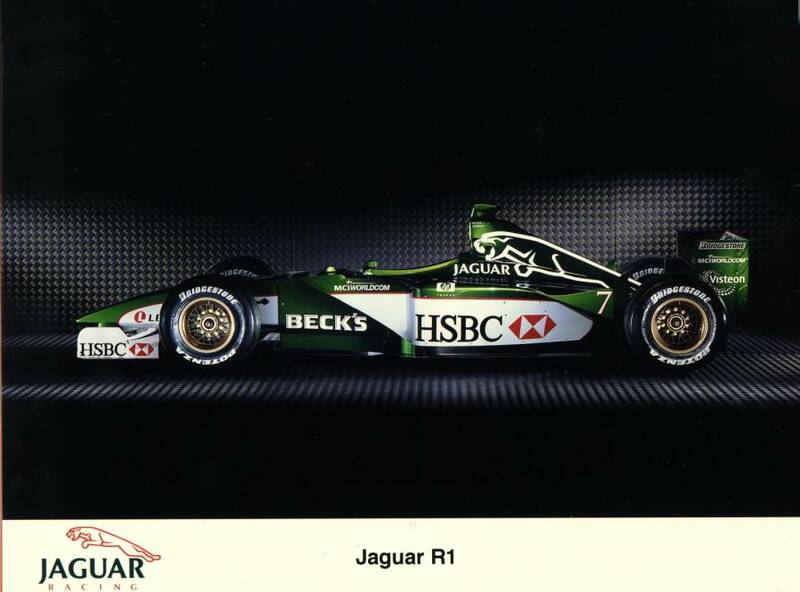 The second press release issued by Jaguar Racing that introduces the R1 car for the new F1 2000 season. 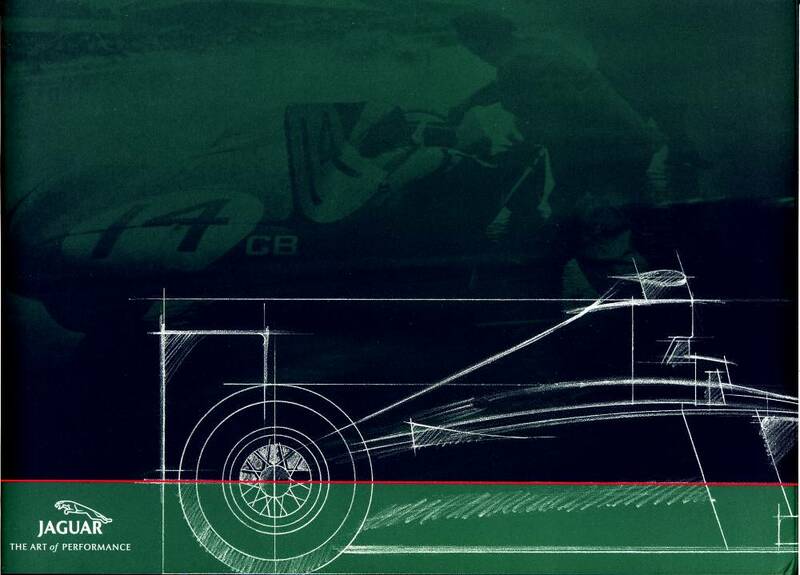 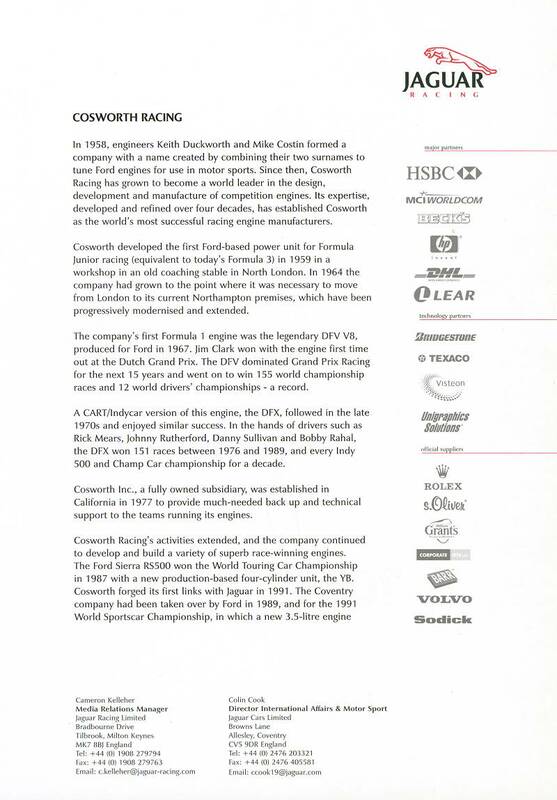 Contains 53 pages of press releases plus 9 colour photographs of the car and team personalities. 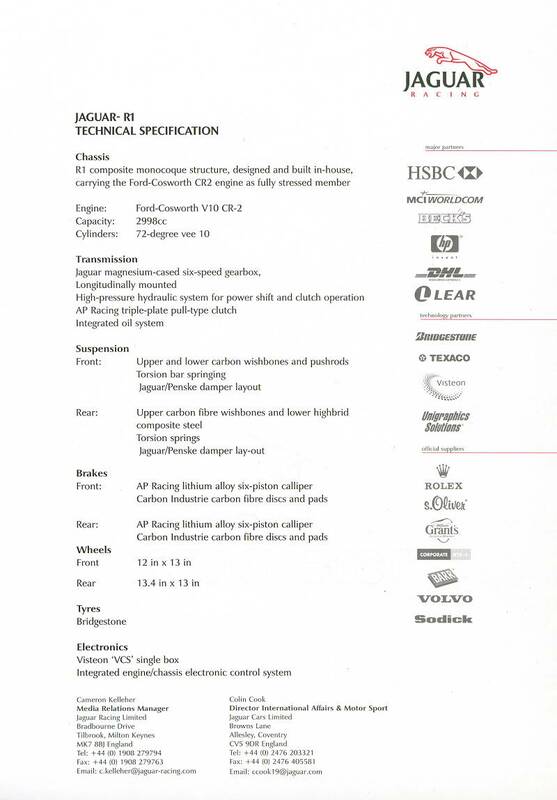 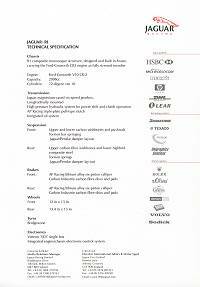 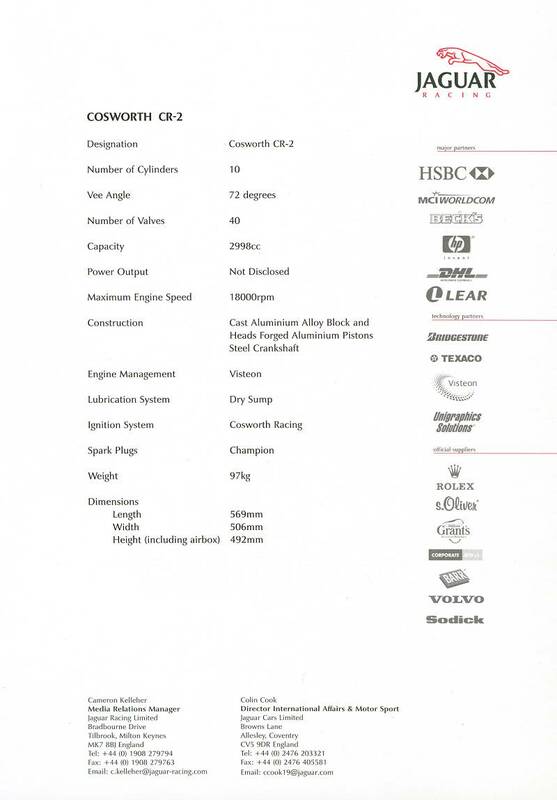 Below are the major items concerned with the car itself. 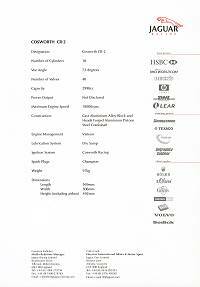 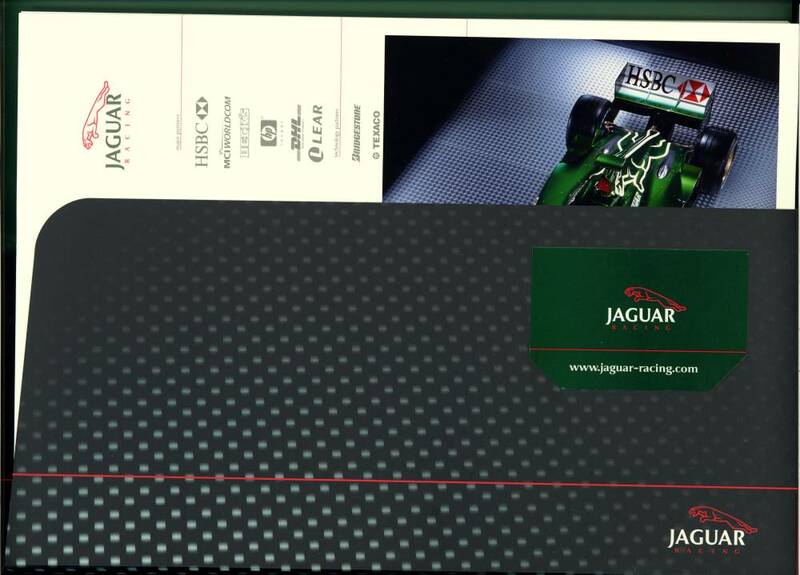 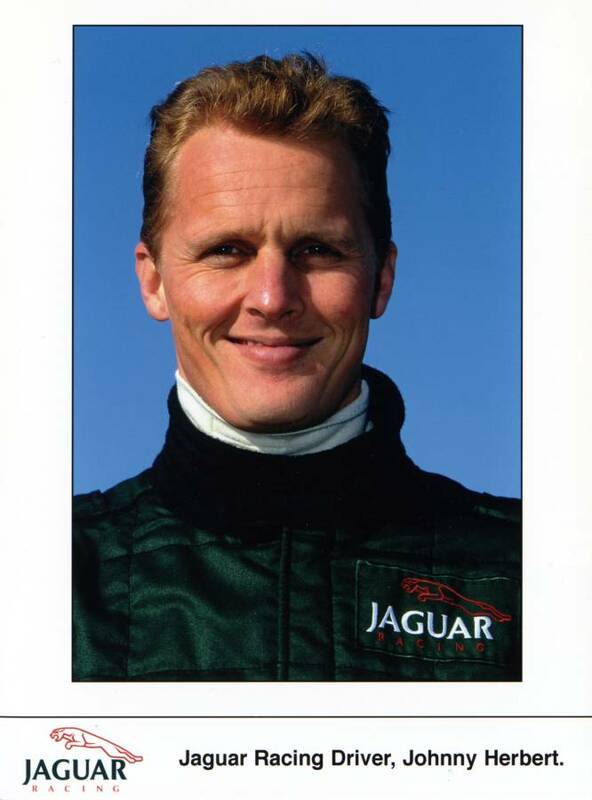 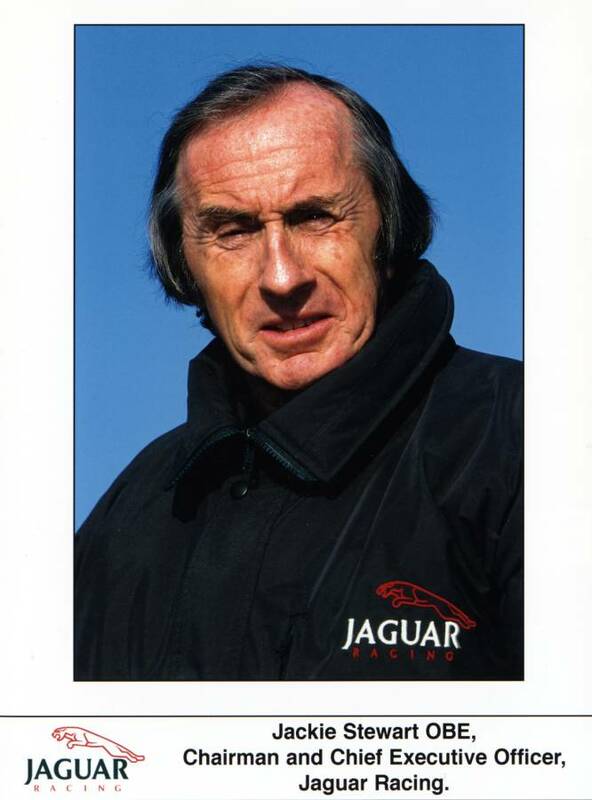 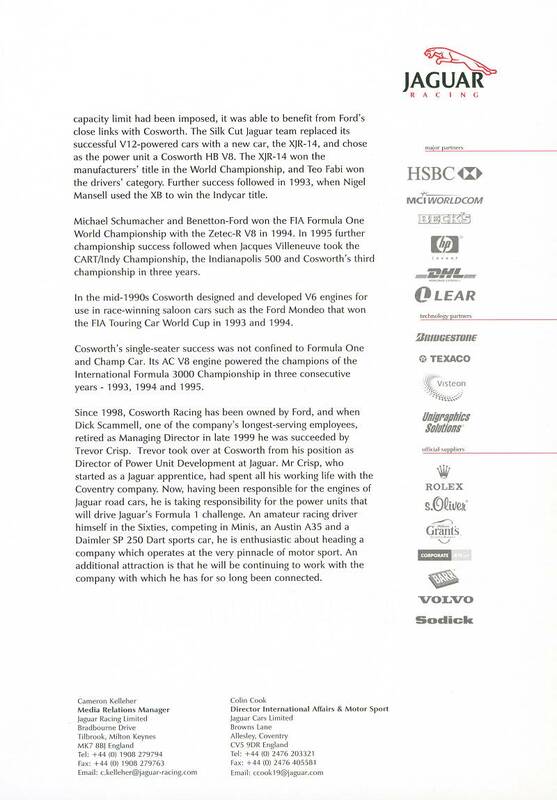 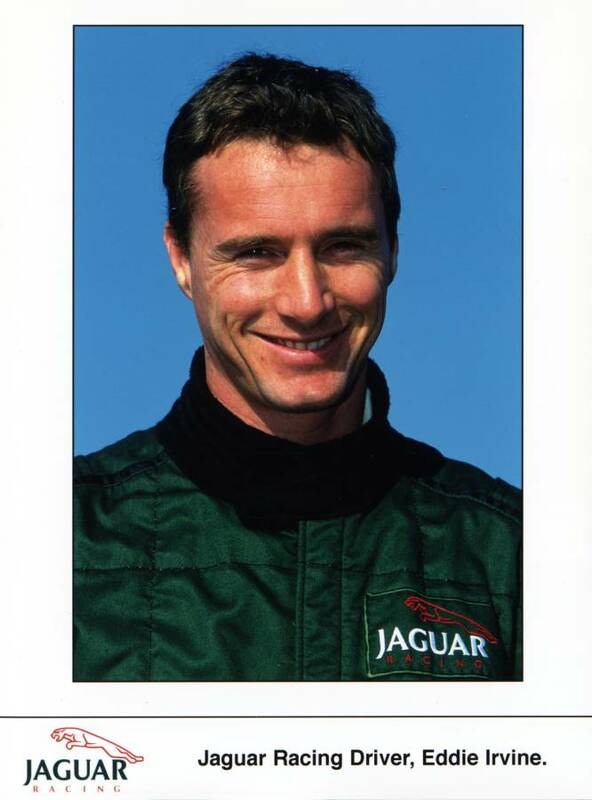 Not shown is the considerable background information on historical Jaguar racing, sponsorship etc.